Every year around November 17th, a group of meteors called The Leonids, falls from the night sky. These famous shooting stars are named after the area of the sky from which they seem to originate: the constellation of Leo. 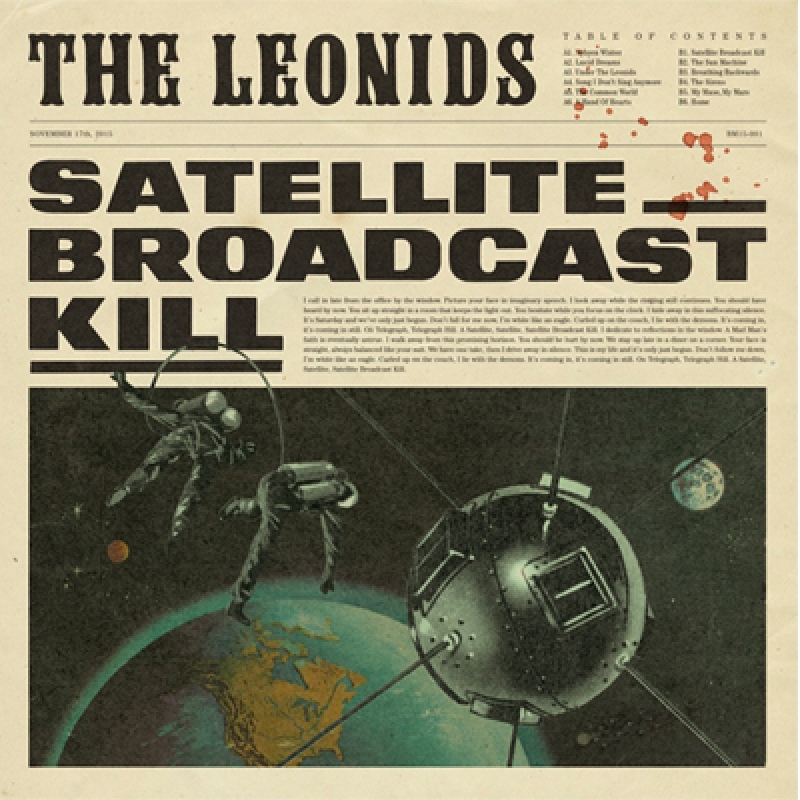 This year a group of musicians called The Leonids will launch their debut album Satellite Broadcast Kill on that same date. Among them two female singers that were born under the sign of Leo. On November 17th the music will be launched uniquely at the expo space of WGKunst in Amsterdam: an audiovisual presentation that will trigger all the senses. The Leonids is a collaboration between Sonja van Hamel (ex-Bauer), Tessa Douwstra (Orlando, Wooden Saints), Viktor van Woudenberg (Wooden Saints), Ralf Pouw (Orlando, Sir James, vanVelzen) and the electric string trio West Side Trio: Vera van der Bie, Annie Tangberg and Isabella Petersen (Metropole Orkest, Martin Fondse Orkest). The album Satellite Broadcast Kill is a sequence of miniature stories, inspired by the wonders of the universe and the instruments that were invented to capture these wonders. In cinematic pop songs, with titles like Under The Leonids, The Sun Machine and My Muse My Mars, heavenly bodies are introduced like characters on a stage. The title song Satellite Broadcast Kill refers to the historical satellite that broadcast the first radio and television signals and thereby changed the world for good. During live shows the music is linked to an extraordinairy visual performance, in which drawings and cut-outs are brought to live by homemade zoetrobes and animation machines. Photographer Eddo Hartmann, who developped these machines together with Sonja van Hamel, projects the "Draw Clips" live on stage. Watch some examples here! The album Satellite Broadcast Kill will only be released physical on vinyl but is also available digitally. It’s the first release of the independent label BirdFish that is founded by graphic designers Robert Muda and Sonja van Hamel. The official release of the album is on November 17th, on the night that the Leonids meteor shower reaches its peak. An album launch with planetary visuals and animations, an interactive light show and special Leonids-cocktails. "Miniatuurtjes over wonderen... opgetild door filmische strijkers"
"Melodieën van fluweel en prachtige, lichte arrangementen"
"Pure pop met een vrouwelijke twist"
"Een van de allermooiste platen die er dit jaar van eigen bodem verschenen"
"Uitdagende partijen van het West Side strijktrio"
For bookings of The Leonids you can contact Sonja van Hamel.